Nonprofits with savvy and passion who utilize current technologies are poised for success. And tools like CiviCRM offer unlimited potential. But to get the most out of technology, nonprofits need proper support that demonstrates how customization can work to effectively meet their needs — allowing their tech environment to finally become the powerful hub it’s expected to be. YouthBuild USA contracted with us to identify opportunities to modify and improve their CiviCRM platform to meet short-term goals, while also planning for the organization’s long-term vision and needs. As a result of our evaluation, YouthBuild USA will be able to make smarter technology investments that are grounded in their organization’s CRM strategy. This article highlights Wanna Pixel’s system-evaluation process with YouthBuild USA. Running a mid- to large-sized nonprofit organization without a strategic, well-thought-out contact management strategy is like being unexpectedly dropped into the middle of an unfamiliar city without a smartphone. It’s not that you can’t find your way home, but it sure would be easier if you at least had a map. Developing a solid CRM strategy is the best way to efficiently and effectively move your organization forward. An incredible strategy for one organization may fall flat for another. What worked like a charm two years ago may already be outdated. Your nonprofit’s CRM strategy will be most effective when it’s grounded in your organization’s culture, program needs, and fund-development efforts. Knowing what you do with contact information and data, as well as when you do it and why, will give your team a clear, reliable operations plan as your organization evolves. YouthBuild USA is a global organization providing low-income young people with construction skills that provide a pathway to employment and leadership opportunities in their communities. YouthBuild USA works with local nonprofits, community colleges, and public agencies to support a network of 260 rural and urban programs in 44 states. YouthBuild USA operates in 21 nations, serving a range of locales, from developing countries, emerging economies, and industrialized nations. 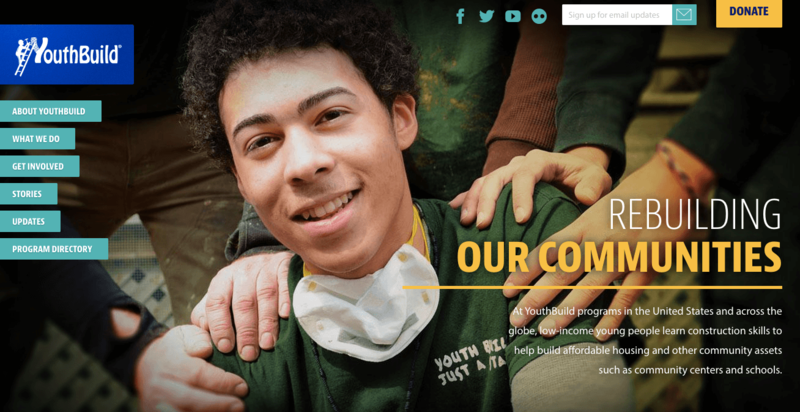 The organization relies on its Drupal / CiviCRM platform for contact management, communications, donor engagement, fund development, and coordinating with and providing resources for YouthBuild USA site staff. The evaluation provided us with an understanding of the effectiveness and purpose of custom configurations within the system, while identifying both opportunities and barriers to platform improvements. Based on these findings, Wanna Pixel prepared a comprehensive report containing detailed recommendations for each of the main CiviCRM modules used by the organization. These recommendations have informed YouthBuild USA’s process as they flesh out their technology strategy and goals. System evaluations can be most useful for a nonprofit when they recognize they may not be using the platform to its greatest potential. There can also be a feeling that the system is just “broken” or inadequate for what the organization needs to do. System Review & Testing: After completing the interviews, our team extensively reviewed and tested the platform based on staff use, identifying additional customizations and features that were not in use or known about, as well as customizations that could be modified for improved use. Since CiviCRM is an open-source platform and used by over 11,000 organizations globally with hundreds of developers supporting the project, there is rapid development on the platform. New features and functionality become available quickly based on user demand and development. This means a staff member’s CRM wishlist could be addressed simply by completing an upgrade of the platform. It doesn’t matter what your technology consultant learned or knows if they don’t know how to share it. Based on our learnings from staff interviews and our extensive review and testing of the platform, we prepared a final report covering the CRM evaluation’s purpose, goals, methods, findings, and recommendations. Based on everything we found, our team prioritized seven of the recommendations within the report for immediate consideration. By separating the learning process from taking action and making changes in the system, YouthBuild USA remained in control of the process, better informed and able to make decisions about their budget and their technology platform. 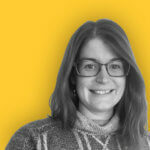 “From the beginning, Wanna Pixel articulated a thoughtful process for our work together, particularly around involving different members of our organization who use our systems in very different ways. Ready to evaluate your system? Drop us a line.